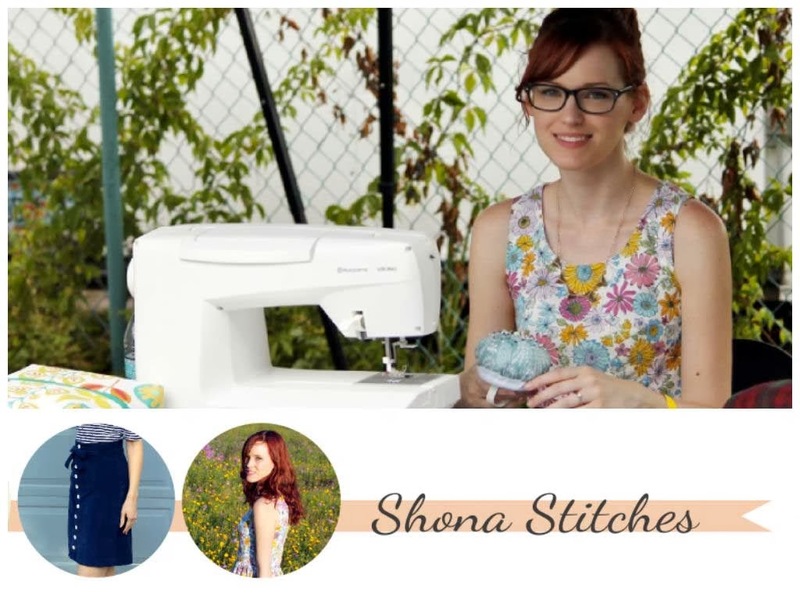 Welcome to the next instalment of my Introducing... series, today I'd like you to meet Shona from Shona Stitches. Shona lives in Florida with her husband, kitty and dachshund pup and is an amazing sewer. 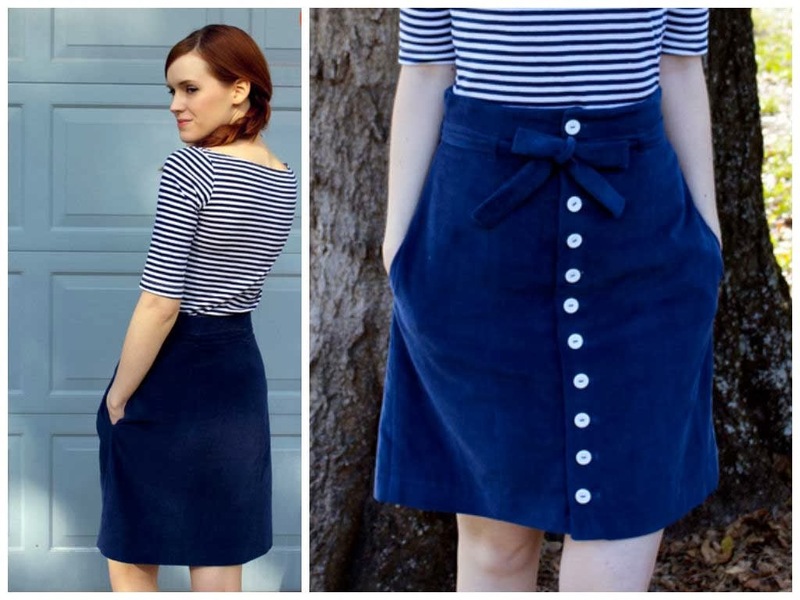 I especially love her Colette Patterns Hawthorn and her navy blue Beignet skirt. Oh, and she knits and embroiders too. Is there nothing she can't do? 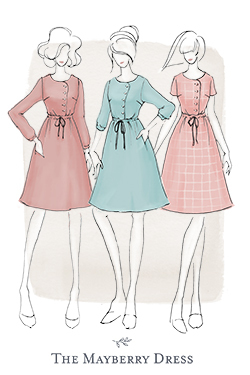 My name is Shona and I am completely obsessed with sewing clothing! 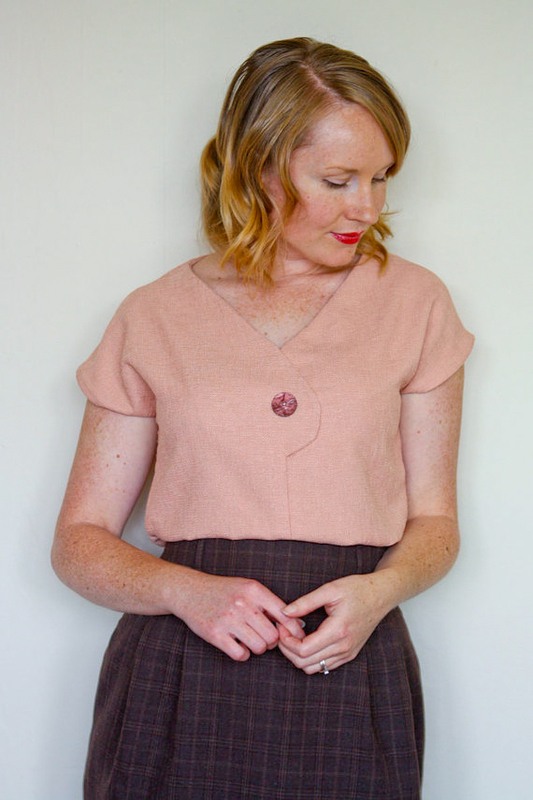 I blog over at Shona Stitches, where I post about the trials, successes and little things I learn as I attempt to sew my own wardrobe. I live in muggy Gainesville, Florida with my husband, a nosy cat and an elderly miniature dachshund who is my constant sewing room companion. After experiencing a layoff earlier this year, I decided to pursue my passion and now work at a local sewing store. I spend my work days playing with fancy machines, making samples, giving sewing advice, and teaching beginners how to make their first stitch. It hasn't been an easy career change, but I love what I do! When I was about 19 or 20 I discovered Craftser and spent a lot of time lurking around the boards drooling over all the cool, crafty things people were making. 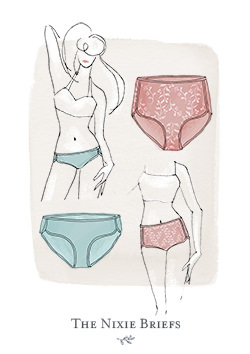 I'd always had an interest in making things, but that site really opened up a whole new world of possibilities to me. I tried a few crafts with varying levels of success, but I was really intrigued by the sewing board. I showed my mom some of the things I wanted to do and bought me a sewing machine for Christmas that year. Once I learned how to thread the thing (that took about a week and a lot of consulting the internet), I immediately started cutting up old t-shirts and reconstructing them. 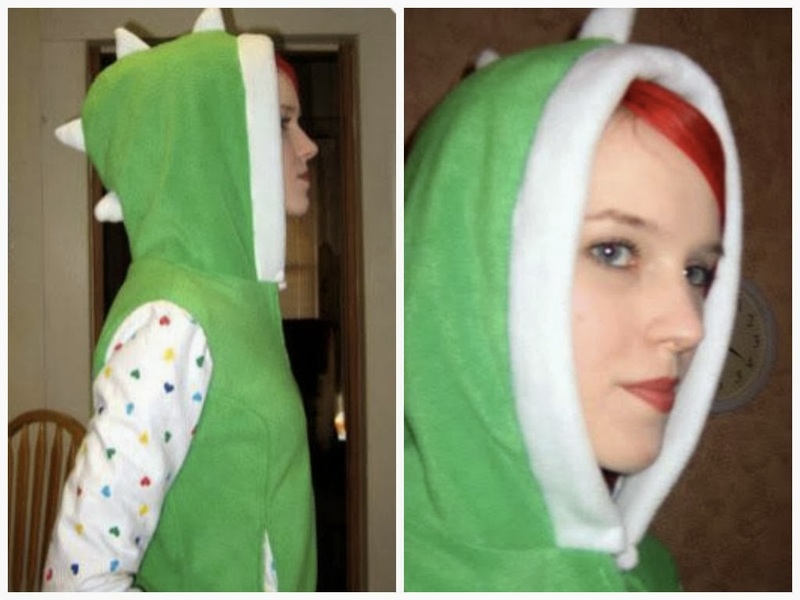 Then I traced an old hoodie and made it into a dinosaur hoodie with green fleece and white spikes in the back. I wore it around work for Halloween and called myself Queen Koopa. Then I moved on to working with patterns, but sewing was still something I only dabbled in occasionally. Years later, I discovered some great sewing bogs and got inspired again. 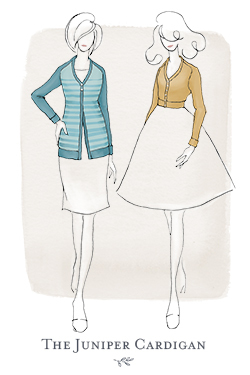 I was amazed at how professional handmade clothing could look! That's when I started really researching proper techniques and learning how to make things that I could be proud of. 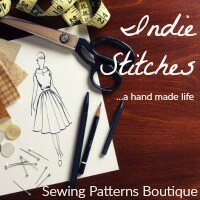 I started my blog last January as a challenge to get myself sewing more. It worked! I haven't stopped since. Do you get up to any other crafty adventures? Yes, as many as I can! I also knit, crochet and hand embroider. I always have a knitting project going that I can work on while watching tv or take to my knitting group. I haven't hand embroidered for a while and really miss it! It's very relaxing and I just love the way it looks. I have to finish this cardigan I'm knitting first though...it's really being a pain! 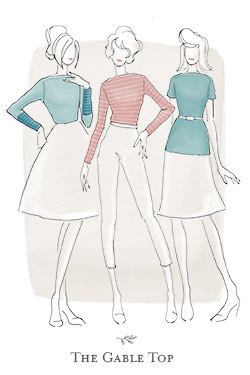 What has been your greatest sewing achievement so far? It's hard to pick, I have a few garments that I'm really happy with. 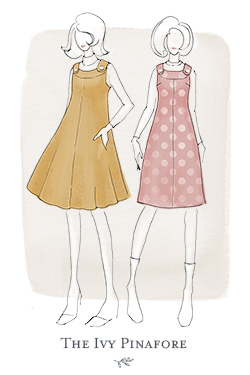 But I guess it would have to be the modified version of Colette's Hawthorn dress that I made recently. I finished it in a major rush, so there are a couple of things I'm not happy with (I did at least go back and fix the tight armholes). 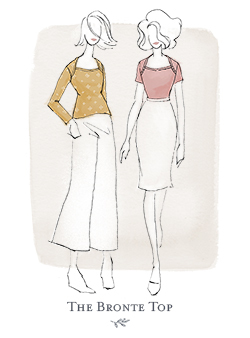 But I spent a TON of time working out the fit and redrafting the pattern to make the style modifications I wanted. Winning the contest was extremely exciting! I wanted to post about it afterwards but I was so flabbergasted that I could barely form words! And when the fabrics I won from Colette came in the mail with a little card signed by Sarai, I couldn't stop squealing. You'd think I'd won the lottery or something. 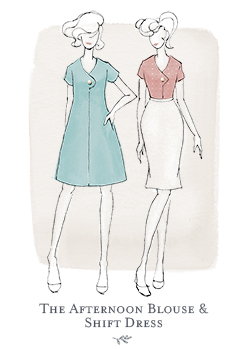 Nope, just totally geeked out about sewing! And have there been any crafty-related disappointments? Oh, lots! That just comes with the territory. I've sewn things inside out, backwards, upside down...you name it. I've broken zippers...and then gone on to break them again! I've broken lots of needles (don't pull on your fabric, folks - use a hump-jumper!). I've sewn things that have turned out unwearable. 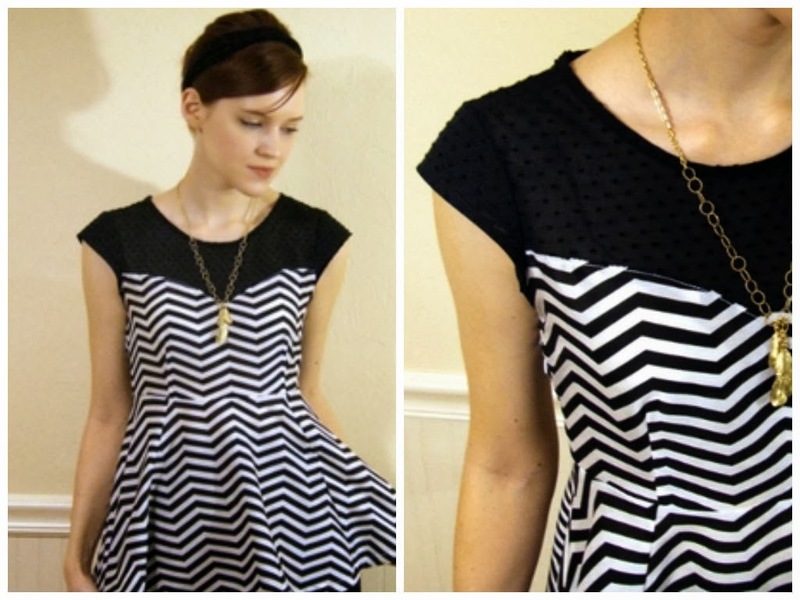 One of my favorite tops, the chevron Ava that I made last year, shrank in the wash. But there have been lots of successes too! 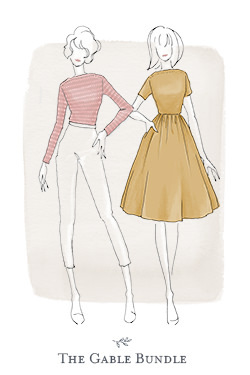 I look at sewing as a continuous learning process. I have this crazy drive to master it. I don't know where that comes from, but I think that's the only thing that keeps me going after I've ripped a seam out multiple times or ruined a dress I spent 2 weeks working on. 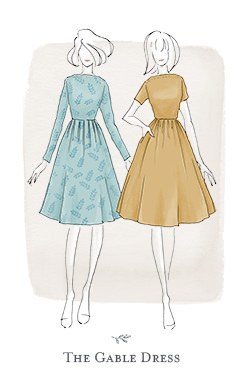 I'm a quitter and totally not competitive when it comes to anything else, but with sewing I'm all "No, machine! You will not defeat me!!!!". Invisible zip, lapped zip or centre zip? Invisible zip. I just like the way it looks the best and I can insert them pretty easily. For an easy zip that needs to be more sturdy, I go with the centered style. I like the way a lapped zipper looks, but I don't feel like I've conquered that one just yet! What’s currently on your sewing table? Two Briars that I haven't been able to work on because of all the sewing commissions that I need to finish first! 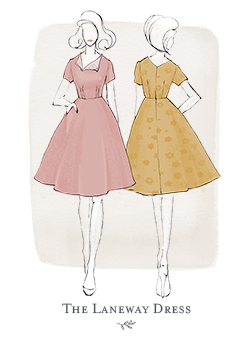 I'm currently making a dress for a wedding guest, a set of curtains, and a couple pairs of jeans that need hemming. I just finished working a 50 hour week while the shop owners were away at convention, so I have a ton of stuff to catch up on! Happy. That's the most important thing. And I'm happy when I can use my brain to think creatively and use my hands to make beautiful and interesting things. I'm still trying to figure out how to turn my dream into a career, but that is my goal. 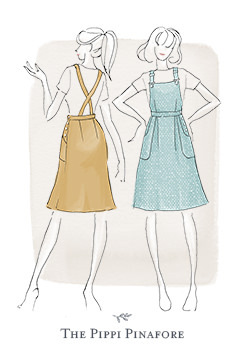 What is one piece of advice you would give to someone thinking about learning to sew? 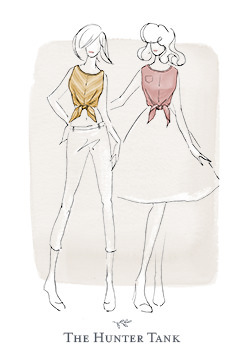 Take it slow and don't be afraid of the sewing machine! 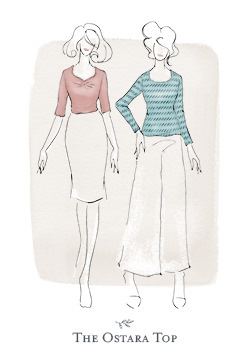 Take a class or buy a good beginner's sewing book that will help you along. I dove right in without having a clue what I was doing, and (while that approach can be fun) I think that's why I got frustrated and put it down for so long. Don't get too upset when you make a mistake, it's part of the process. You will remember that mistake and improve with each new project! A lot of people will tell me that I must be so talented because of the things I sew, but I really don't think sewing takes talent. It just takes a little patience and a desire to make something unique. Thanks so much for taking part Shona! 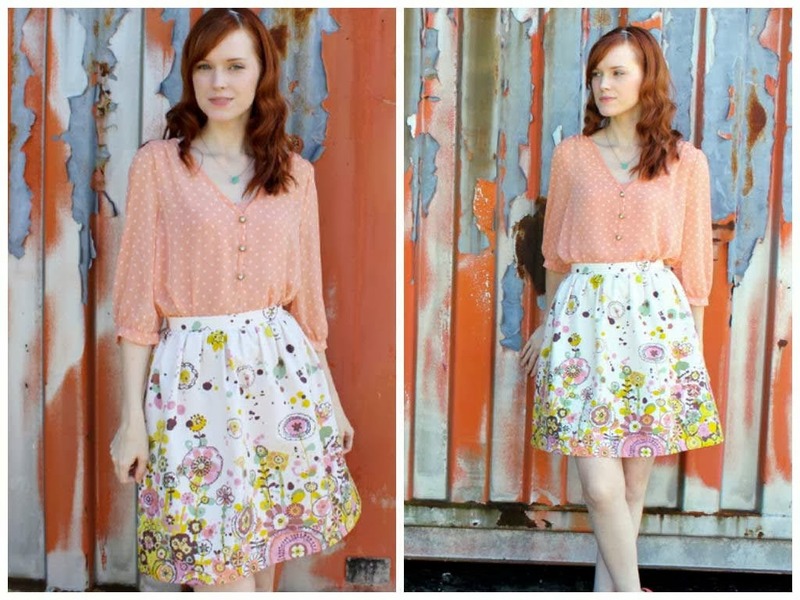 Make sure you head on over to her blog to take a peek at a few more of her amazing creations! 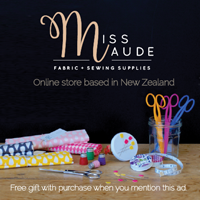 Are you a sewing/knitting/crocheting/baking/vintage/cat-loving/creative/awesome owner of a blog? Do you want to be featured in an interview and become one of my (and others) expanding list of new bloggy friends? Well then, step right in and flick me an email to jenniferlauren.is@gmail.com with a link to your blog and any other tidbits you feel like sharing and we'll arrange an imaginary internet tea and cake date and get to know each other a little better! 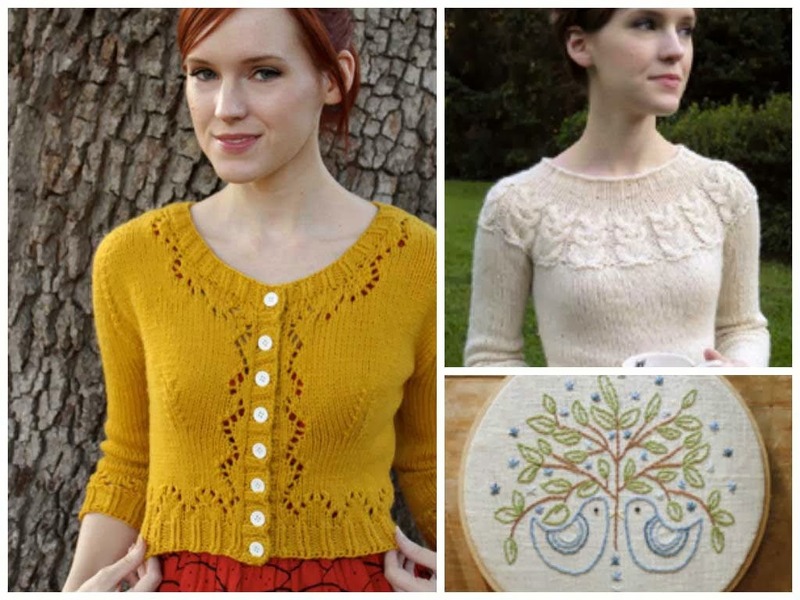 4 comments on "Introducing...Shona Stitches"
Wow, her stuff is gorgeous! I love that she wants to be happy when she grows up. What a good answer! Omg that hoodie is the bomb! I love this little series. It is always so inspiring.